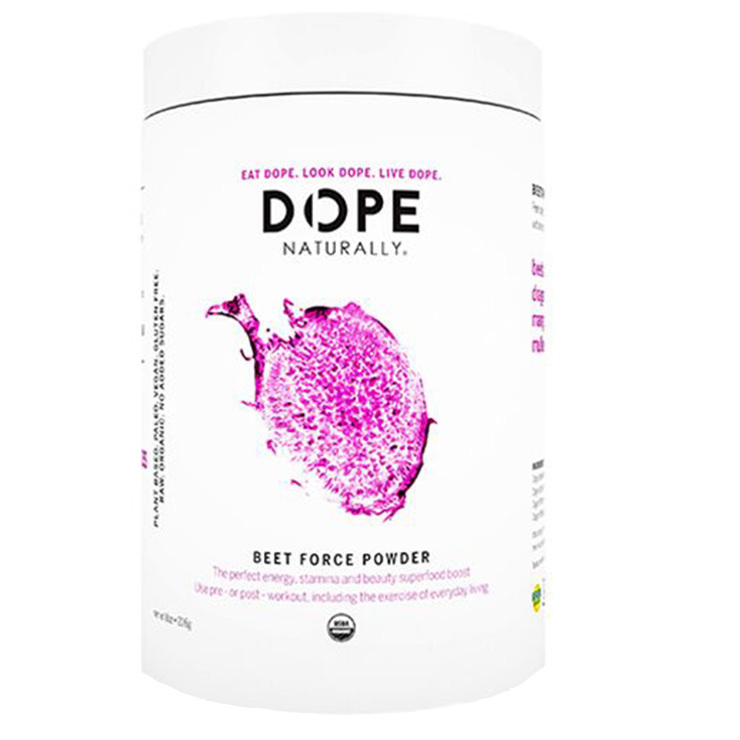 Beet Force by Dope Naturally provides a USDA Certified Organic superfood formulation for a feeling of naturally boosted energy, perfect for pre- or -post workouts. 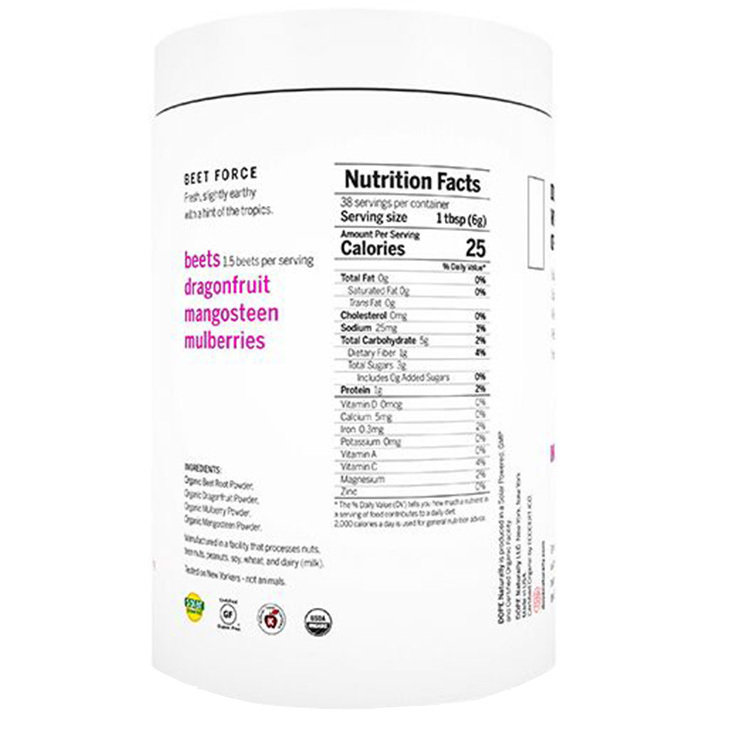 The blend of superfoods beets, dragonfruit, mangosteen and mulberry in Beet Force simultaneously work to lend a sense of supported skin health, and provide a feeling of total body energy and recovery to keep you moving and motivated. Mix 1 tbsp of Beet Force into your favorite recipes.